People enjoy lakes for their beautiful scenery and use them for recreational activities such as fishing, hunting and boating. Lakes also provide important ecosystem services. Lakes are main source of attraction and and just like the beaches, people visit the lakes for one reason or the other.. In Enugu state, there are quite a number of lakes in the state, many of them undeveloped but still an interesting place to visit and a beauty to behold.. Below are top five most popular lakes in Enugu state. Opi lake system are group of lakes situated in the town of Opi in Enugu State. Opi lake system are nine lakes which are connected to one another to form a network. The lakes are Iyi-ikpa, Varavara, Ogeleube, Iyiuga, Isiogba, Ojii, Orufu, Adekwegbe, Okpo, (the largest among the lakes are ojii and Adekwebge ). Ojii is located at Ugwu-ozioko and is about 9m deep and 7km wide. Its depth and width enables the smooth movement of locally made canoe from one end to another. The nine Lakes are a tourist attraction in Opi because of its natural environment. 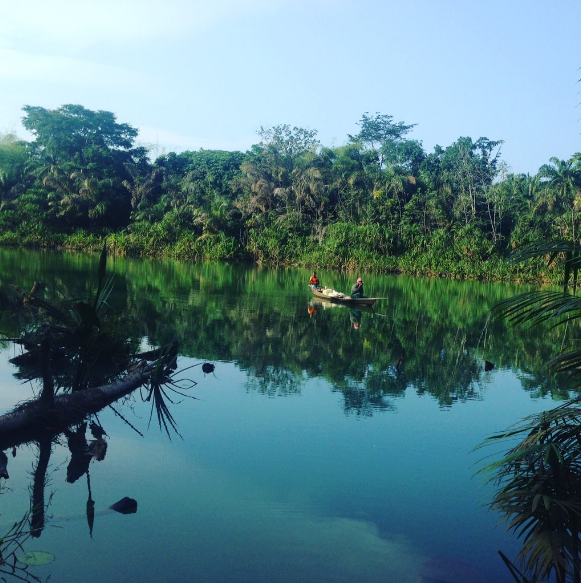 Located in Ozalla, Nkanu West LGA in Enugu, The Ani Ozalla Lake is a sacred natural lake. The Ani Ozalla Lake is said to be a dwelling place of a goddesses which appears in form of crocodiles to receive offerings from worshipers or visitors when called upon by her chief priest. Ogurugu Lake is situated in the town of ogurugu in uzo uwani local Government area of Enugu state. The lake is the largest in Enugu state and is fed through the Anambra river. Ogurugu lake serves as one of the major source of water and transportation to the towns of Ogurugu, Iga, Ojo, Asaba and Adani who are mainly rice-farmers. I love how you describe the different lakes in Enugu State. They reminded me of Twin Lakes Laguna. This looks like a beautiful place to visit a lot of interesting wildlife I am sure. When I was in the Philippines, I never thought that lakes could be so big! When I came here in the US, I realized how big Lake Michigan is. Opi lake system seems amazing! I have never visited Enugu before but I have a few acquaintances living there. Looks fantastic. I’d love to be by Ani Ozalla lake and get to hear more about its sacredness; and even look at those crocodiles.